The Arthur’s Seat volcano dominates the centre of Edinburgh and is a superb example of a small, partly-eroded basalt volcanic cone. It gives the opportunity of exploring different parts of the volcanic system including intrusions, lava flows and vent material. We will also visit Salisbury Crags to appreciate the contrast between surface volcanic activity and underground magma intrusion and the important site discovered by James Hutton. Excursion aims and description: The Arthur’s Seat volcano dominates the centre of Edinburgh and is a superb example of a small, partly-eroded basalt volcanic cone. It gives the opportunity of exploring different parts of the volcanic system including intrusions, lava flows and vent material. 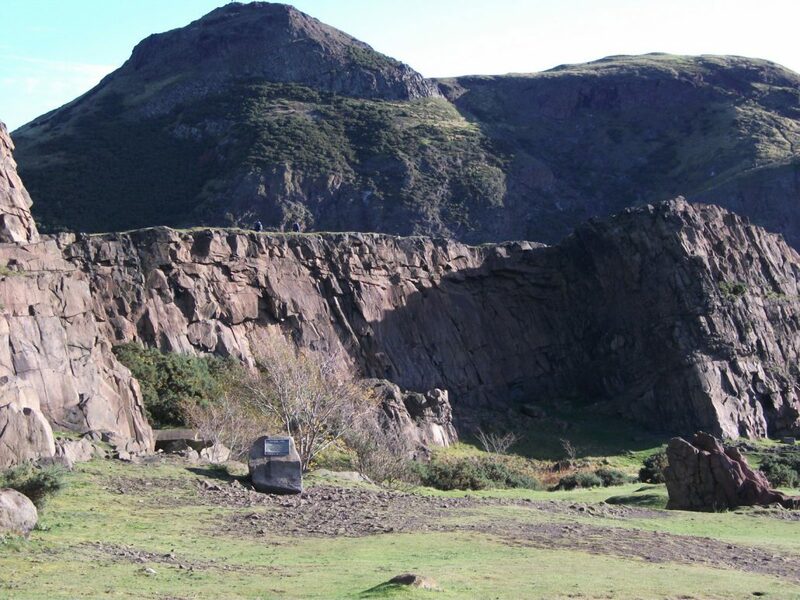 We will also visit Salisbury Crags to appreciate the contrast between surface volcanic activity and underground magma intrusion and the important site discovered by James Hutton. This introductory excursion is aimed at new EGS members but it is open to all. Excursion route: St Anthony’s Well, Dry Dam, Whinny Hill, Queen’s Drive, Salisbury Crags. Terrain, walking distance, height gain: Rough paths and pavements. Toilet information: Holyrood Park Education Centre, close to meeting point.